The gritty new crime series hits stores this December. Writer Ed Brisson (SHELTERED) and Adam Gorham (Dead Drop) come together for an all-new ongoing series in THE VIOLENT—set to launch from Image Comics this December. In THE VIOLENT #1, readers meet Mason, an ex-con and former drug addict who’s trying hard to give up his old life. He’s got more important things to live for now: a wife struggling to contain her own addiction and a young daughter who needs them both. When threatened with losing his daughter, Mason falls into old habits, stumbling through a string of desperate criminal acts whose repercussions quickly become deadly serious. 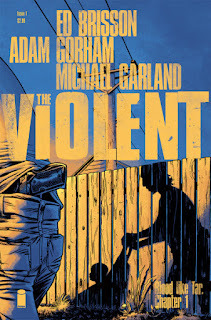 THE VIOLENT #1 will hit comic book stores on Wednesday, December 9th.